The 10 August news that came from Minsk and Moscow left quite some food for thought: has Belarus passed a point of no return after which its existence as an independent state becomes impossible? So far, from the outside, everything looks as if the Kremlin put an ultimatum to Alyaksandr Lukashenka: either he steps down or becomes a complete vassal of Russia. For Ukraine, these options are "both worse". End of the "hydrocarbon subsidy"
The last two decades the "Belarusian economic phenomenon" has been directly funded by Russia, which has supported economically its only true ally on the western border. Economists estimate this support at $10 billion per year - in various forms, such as cheap raw materials, preferential loans, direct transfers, an open market for Belarusian products ... But a "hydrocarbon subsidy" - the cheapest gas and duty-free oil – has always taken the first place. That is, Minsk received oil from Moscow without a 30% customs duty, resold part of it, processed part of it at its refineries and later sold oil products to Western Europe and Ukraine. Taken together, in 2017, for example, the republic had $2.5 billion in net profit, which amounted to 5% of the national GDP. The Russians, accordingly, calculated that their budget had not received $3 billion in export hydrocarbon duties. All this was the subject of numerous disputes. Lukashenka at all demanded gas at domestic Russian prices, justifying it by the fact that Belarus and Russia are now the Union State. What was left out is that the Belarusian government sells gas to (state!) enterprises for a triple of what it pays to Russia. It should also be added that since mid-2017 Belarus has become a major hub for the "grey" re-export of Russian liquefied petroleum gas (LPG) to Ukraine and Central Europe. "... Russia has suspended the provision of loans to Belarus and intends to limit duty-free supplies of oil, oil products and liquefied gas (LPG) to Minsk from the fourth quarter of 2018, citing budget losses..."
"The transfer of two tranches of the ESDF (Eurasian Stabilization and Development Fund) credit line to Belarus has been temporarily blocked. In July 2018, the payment under the so-called "re-customs (change of customs documents)" mechanism was suspended, as was the work on granting Belarus a state loan of up to $1 billion in 2019". "The resumption of further cooperation ... the Russian side links it with the decision to establish a ban on the export of oil products from Russia to the Republic of Belarus and compensation for losses the Russian budget had incurred because of previously exported petroleum products." Alyaksandr Lukashenka commented on this immediately. Visiting the Homselmash plant, he said: "We are now in a difficult period - the Russians have been treating us in a barbaric way, I'm saying this publicly now. They demand something from us, as if we were their vassals, and in the Eurasian Economic Union, where they had invited us, they do not want to deliver on their commitments. So they create an uncompetitive situation." In fact, tension in Belarusian-Russian relations has been growing since the spring. First, Minsk banned the "Immortal Regiment" march on 9 May and the use of St. George ribbons in public. And although the ban was later cancelled, the scandal in the Russian media turned out to be colossal. Then there was an epic story of the Russian Agriculture Ministry, which announced a state programme to support domestic dairy producers and squeeze the Belarusian ones from the market because, as the minister said, the latter had been dumping and supplying low-quality products. Belarus sells more than 95% of its dairy products to Russia, while Europe, for example, refuses to buy them because of poor quality. In this situation, the closure of the Russian market will "kill" the entire branch of Belarusian agriculture. The "border" conflict was developing in parallel. Since 1995, Russia and Belarus have not had any noticeable state border at all: trains and cars crossed it without even stopping. However, in 2017, Minsk introduced a 5-day visa-free travel option for citizens of 80 countries. Russia took it as a threat since an "uncontrolled" foreigner (who did not cross the Russian border proper) may already be in Moscow in a few hours. Russian siloviki started talking about a "hole in the western border". On 1 February 2017, the head of the Russian Federal Security Service (FSB), Alexander Bortnikov, ordered the formation of a border zone between Russia and Belarus in Bryansk, Smolensk and Pskov regions. 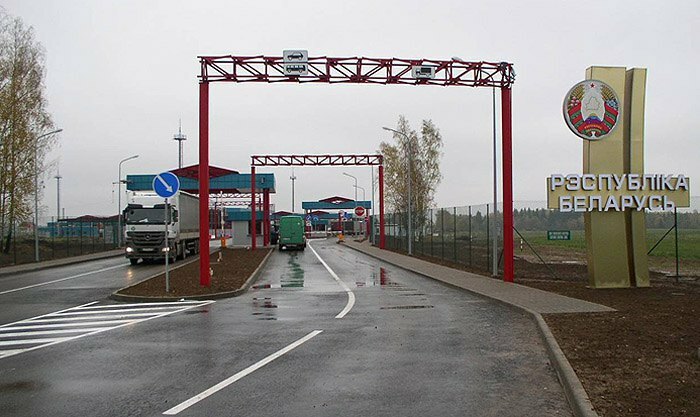 As soon as this year, flights between the "brotherly" countries were given international status while Russian border guards "recalled" that only Belarusians and Russians have the right to cross the border. Moscow began to insist on introducing union visas. Minsk, for its part, called for an agreement on mutual recognition of visas because having union visas would deprive Belarus of a part of its sovereignty. 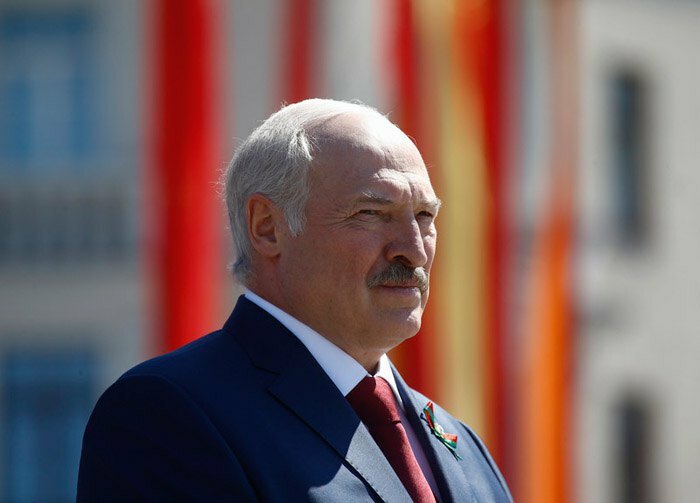 On 1 June 2018, Lukashenka publicly said Russia should make its mind on the format in which its border guards will be present at the Belarusian-Russian border and warned that Belarus was ready to close it. In response, the Russian Federation began to monitor all who enter third countries or leave them via Belarus. Since 1 August 2018, Russia has been zealously patrolling its side of the border. In the meantime, Belarus is losing huge "transit" money because a huge lorry driven by a Polish driver can no longer pass directly to Russia. It will have to go to a special checkpoint. But there is only one such point: the trilateral checkpoint Vesyalowka (Belarus) – Senkivka (Ukraine) - Novye Yurkovichi (Russia). It is far from the Minsk-Moscow or Vitsebsk-St Petersburg highways and is mostly used by Ukrainians travelling by car. On 23 July, Vladimir Putin called Lukashenka and invited him to meet in Sochi to "discuss problems". Belarusian independent media immediately interpreted this as "having been called on the carpet". But Lukashenka has not gone there yet. 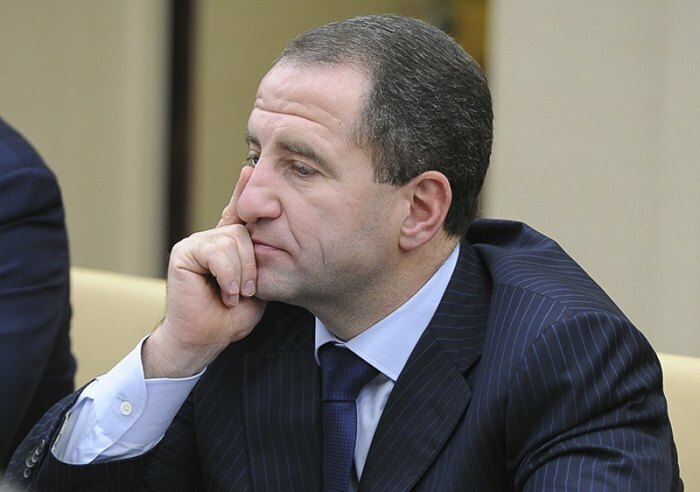 Instead, he increased the period of visa-free travel for foreigners to 30 days and, in fact, refused to accept a new Russian ambassador in Minsk , Mikhail Babich. The Belarusian Foreign Ministry has not issued the agrement yet. 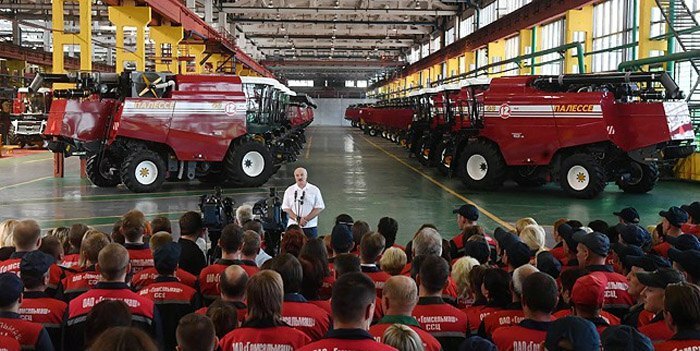 A month earlier, on 22 June, speaking to agrarian officials, Lukashenka said: "If you decided to do something, it must be made for sure. There can be one reason for failing to deliver, which is death. We are at the front. If we fail to survive these years, it means that we will either have to become a part of some state, or we will be walked all over. And God forbid, they will unleash the war as in Ukraine." His words about joining "some state" were unambiguous as no-one, except Russia, has claims to the Belarusian territory. But Moscow is just ready to "reunite the fraternal nations". It is no coincidence that back in 2002 Vladimir Putin suggested six Belarusian regions join Russia. This is exactly how Minsk is feeling. First, there was a wave of rumours that Lukashenka suffered a stroke (he indeed disappeared for several days, cancelled appointments and visits), followed by reports that a microstroke indeed took place. Everyone rushed to discuss who could become Lukashenka's successor, whether one of his sons or some high-ranking official, or even a Russian "governor-general". Then, on 7-9 August, a wave of repression against independent media rocked Belarus: editorial offices were searched, equipment confiscated, journalists were detained by dozens, and absurd criminal cases. Rumour was born that there was a clean-up of the media landscape before some important event. On 10 August, it became clear that this event could well be either Belarus's inclusion into Russia, or a change of power in Minsk to the most pro-Russian one - and the loss of a very significant part of its sovereignty by Belarus. The second option is even more likely: Russia now does not have enough money even to maintain annexed Crimea - and here is a whole country with a population of 10 million people. Besides, formally independent Belarus with its own voice in the UN is much more useful for Moscow. 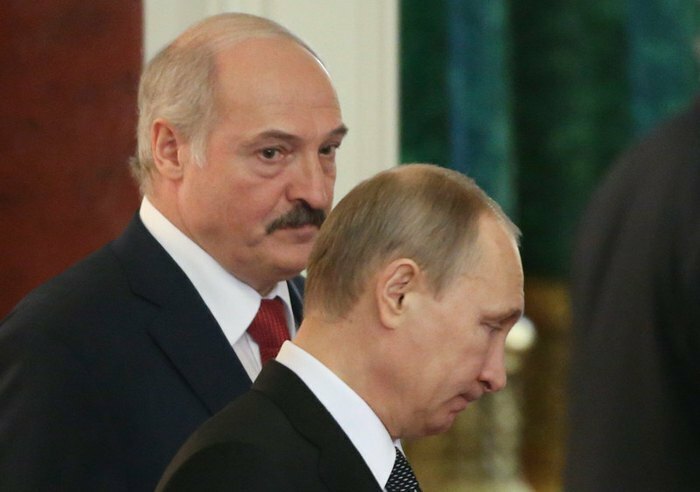 But it does not matter now whether Lukashenka is going to rush to Sochi to meet Putin and agree to everything, from Russian military bases to the privatization of Belarusian enterprises by Russian business. Or whether he is not going to make it to Sochi and Belarus is going to have a new head. In any case, there is at least going to be a cooling in the political and trade relations between Minsk and Kyiv. Until now, Lukashenka's desire to preserve his one-man power in Belarus has benefitted Ukraine – Batska [Lukashenka's nickname, "father" in Belarusian] tried to emphasise his independence from Russia, looked for ways to counterbalance it, including by developing ties with Western Europe and Ukraine. This really irritated Moscow. The coming months will show whether it decided to put an end to Belarusian independence.